Susan working on her Polar bear for the Art Clan project. As artists we offer our representation of the animals that exemplifies our connection to the animal world and to our ancestral roots. 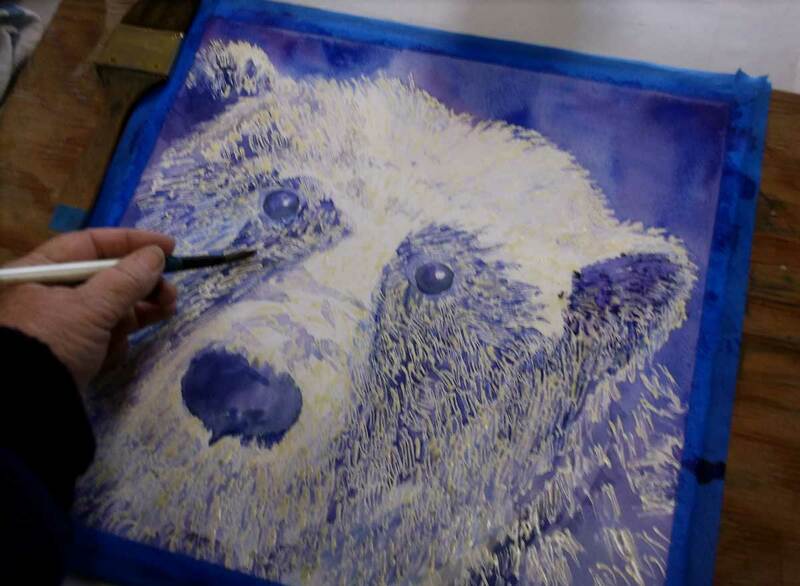 For Susan, she has chosen the bear – grizzly and polar – both of which are endangered species. All the the artists chose their animal spirit based on their own individual feelings and love.